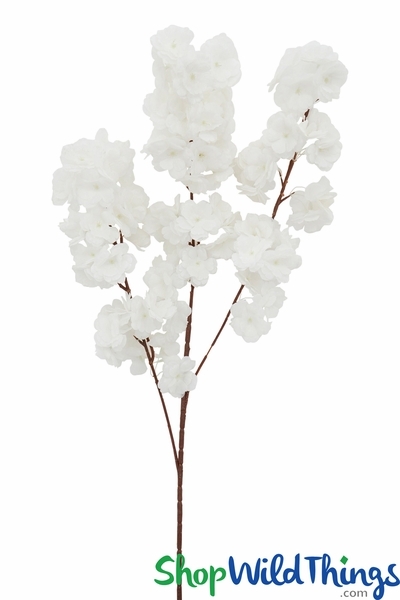 Ideal for black-tie affairs and weddings, our classy Pure White Silk Dogwood Blossom Branch is 42" tall, with 2" large blooms surrounding the 3 smaller stems and these fluffy, dreamy flowers make this spray a favorite of event planners and designers! 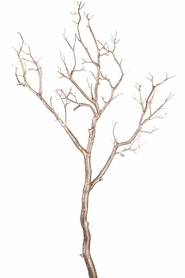 No fuss and always elegant, the main stem is brown and 20" long, with 3 flowering stems measuring an additional 22" tall, 20" tall and 18" tall. With the 3 stems bunched together, this branch is a VERY full 12" wide or you can spread the stems for an even wider display. 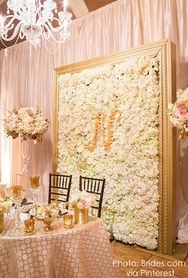 The exquisite flowers surround the stems and are viewable from any angle. The blooms have 3 silky layers of white petals with just a touch of soft green centers. Lovely! 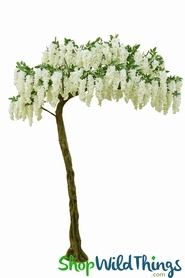 In addition to the substantial height, another impressive feature of this branch is the ability to showcase it upright or to bend the stems to create a draping effect which is a prime element for breathtaking floral ceilings or to suspend from a Wedding Arch, trellis, banister or railing. 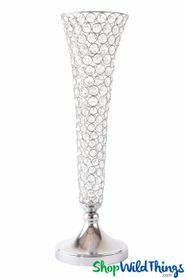 Quickly create stylish centerpieces or focal points by placing in Glass Latour Trumpet Vases. Transform a Pipe & Drape Canopy (with or without the sheers) into a dreamy floral gazebo by wire tying these branches to the poles. This spray is so pleasing and fresh looking that it truly enhances any event, theme or party while allowing a stress-free, lost cost floral solution for you! Perfect for my wedding! Ordering more!